Venture to Chew Valley lakes and tackle Dundry on this manageable ride. To start the ride it's best to go down through Ashton Court to Long Ashton and take the 2nd left in the village to the A38. This will bring you to the bottom of Dundry (left turn off A38). Dundry is one of the well known hills in the Bristol area. 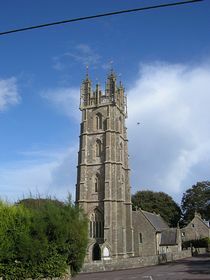 It is easily identifiable by the tall church tower at the summit of the climb. Once over the hill you'll descend to a mini roundabout a veer left to Chew Magna. From here continue along rolling roads around Chew Valley lake back up to the mini roundabout you arrived at earlier. You'll utilise the only exit you haven't used already (first, left) and head to Winford. You'll pop up in a familiar area that will bring you back into Long Ashton and through Ashton Court Estate to finish.